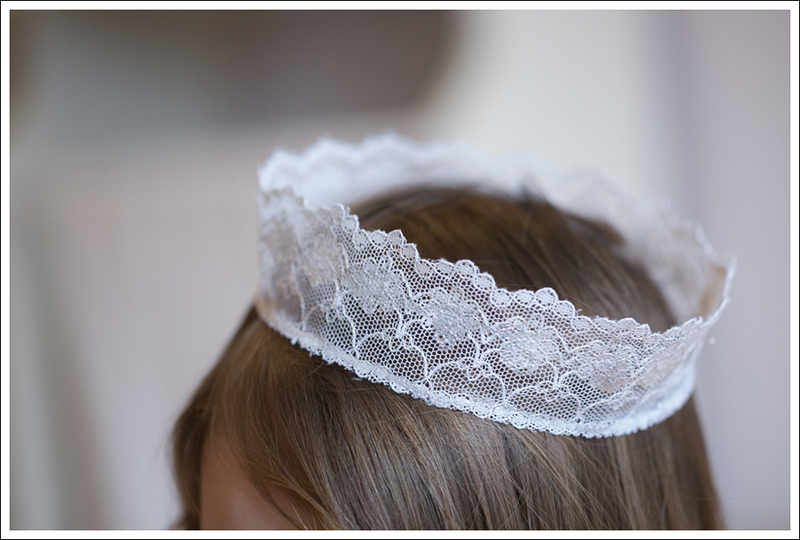 Measure the lace around your toddlers head (honestly, this is probably the hardest part of the whole process haha) Leave about 1/2 an inch overlay and cut. 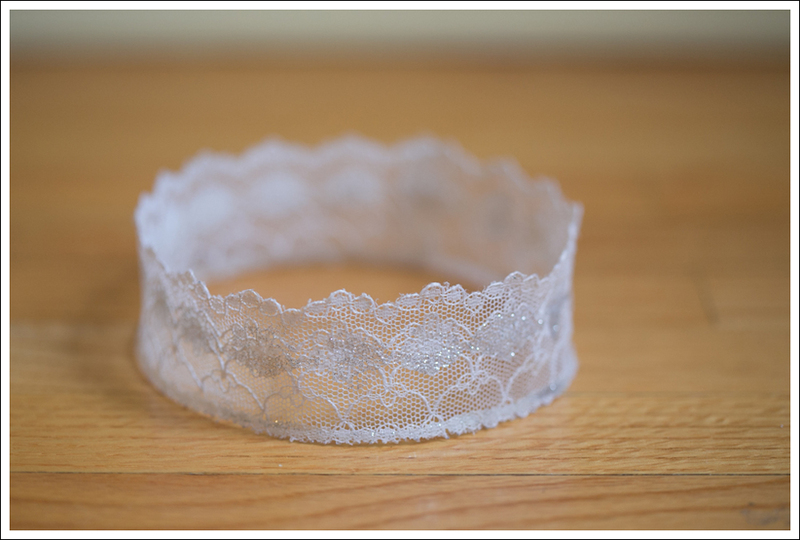 Lay the lace down on the newspaper and run a bead of glue along the bottom of the lace and in the middle. Smudge with your finger . 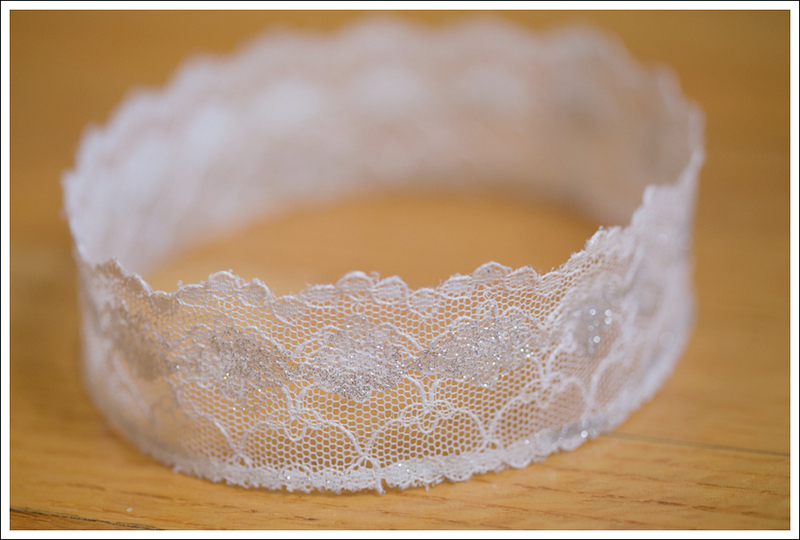 Fold the lace into the crown shape and make sure there’s plenty of glue on the ends that overlap. Paperclip the spot where the ends overlap so that it stays connected. Place the crown on the balloon and wait for it to dry. I went back and moved it a few times so that it didn’t get glued to the balloon. 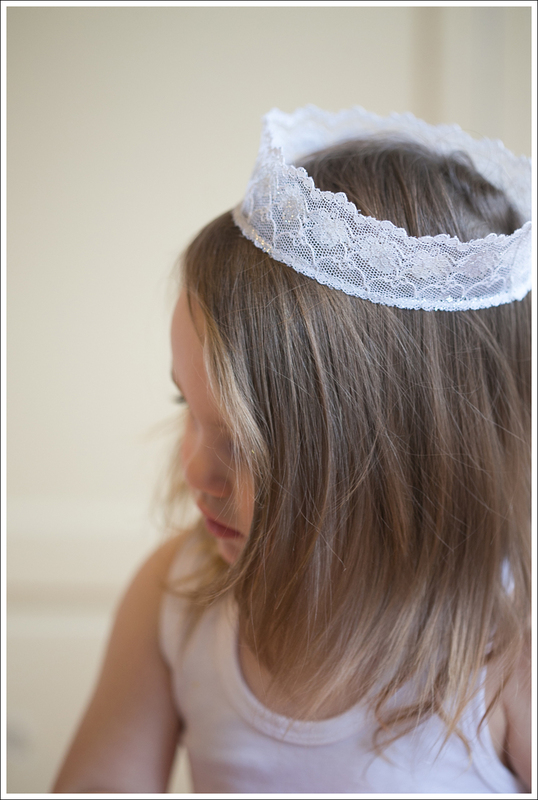 It will dry in the shape of the crown, but it’s still moveable/not stiff. I can totally see making these for a party, or having the girls make them at the beginning of a party to take home when they leave! 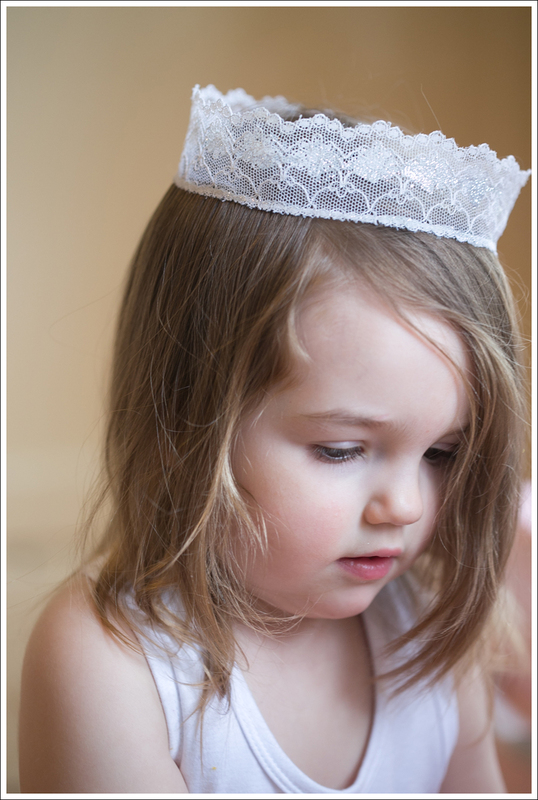 This entry was posted in DIY and tagged Craft to do with your toddler, crown, DIY, DIY to do with your toddler, Easy DIY, Lace Crown on February 23, 2014 by laurenkahan.